Words matter, and so do the feelings that fuel them. We can teach a child to say ‘thank you’ and cue them when they need to say it, but this doesn’t mean they feel gratitude. Words of appreciation that are said without caring are usually done for performance reasons – it pleases the adults in their life, or people will think highly of the parent. The problem is we can train our children to say the right things but this usually falls apart when the ‘right’ people are not watching, and doesn’t nourish anyone else in a deep way. When we encourage kids to say words that are devoid of caring, we push our kids to give and accept substitutes for real sentiments and push them towards superficial relating. Furthermore, the feeling of caring is one of the most important emotions that drives development and overall social and emotional maturity. We should not want to detach caring words from the caring roots that should drive them. If we want to grow kids up to have empathy for others, show consideration, and act in a caring manner, then we will need to make sure their caring words are anchored to their caring feelings. How do we do this? The first thing we need to realize is that gratitude is not something you can teach directly, rather; it is something you can help a child express when they feel cared for by another person. We can start by orienting the child to their own feelings and to help them stop for a moment to consider how someone has cared for them. Children under the age of 5 are often impulsive and move quickly through their emotions. They are routinely unaware of how their feelings drive behaviour. Helping a child land on one feeling at a time will help them recognize and feel the caring that is behind gestures. For example, my eldest used to bring her sister part of her treats that were shared on special occasions in school. She would run towards her sister with half eaten cookies or cupcakes and when I asked her why she always remembered her sister she said, “Because she doesn’t get these treats and I know she likes them and I don’t want her to be left out.” My youngest never had to be told to say thank you to her sister. The huge hug she would give her in seeing the treat was all that was required to let me know the caring gesture had been received and acknowledged. Where we need to focus our energies is on nurturing a caring spirit in our children. 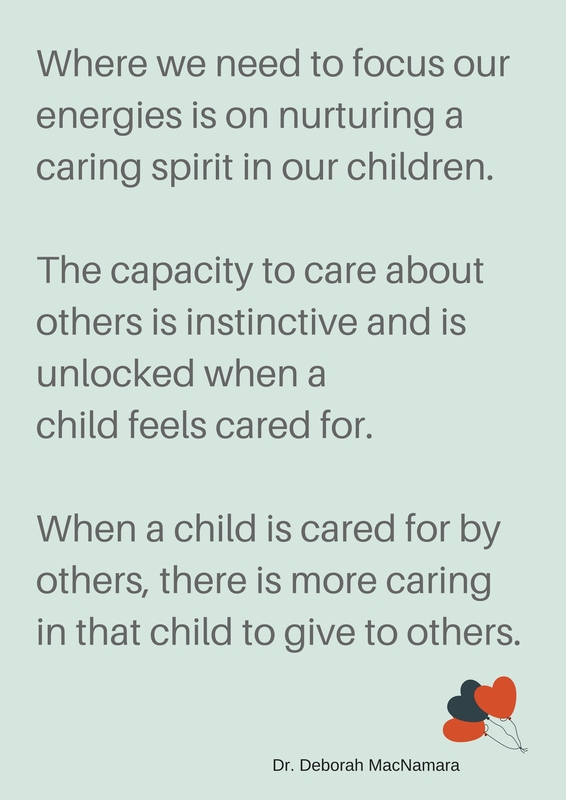 The capacity to care about others is instinctive and is unlocked when a child feels cared for. 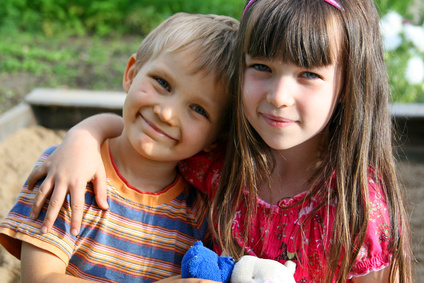 When a child is cared for by others, there is more caring in that child to give to others. Caring behaviour doesn’t need to be rewarded either – it is fulfilling all on its own. The more we reward caring behaviour, the less caring it will be. A chronic absence of caring in a child is not something that can be simply returned by commanding caring words or performances. 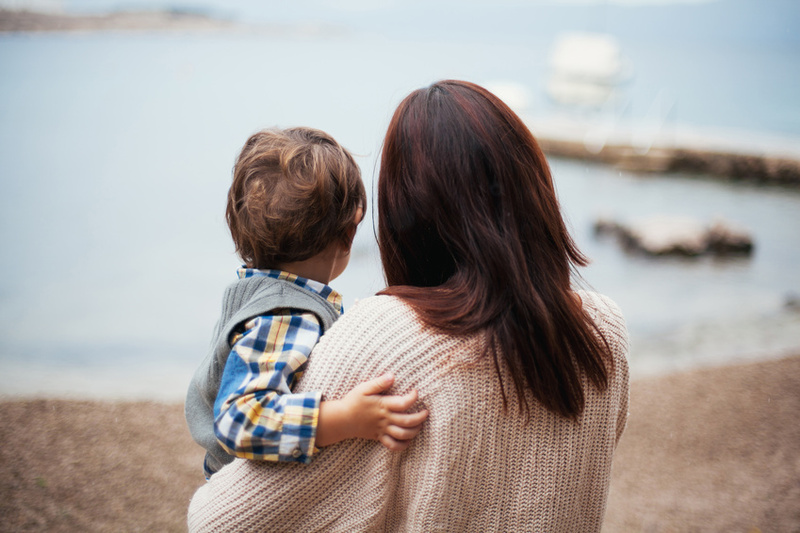 A lack of caring in a child is an aberrant condition and one that requires us to pay close attention and work at softening defenses that inhibit emotional expression. When it comes to giving gifts and celebrations, to the everyday acts of sharing with others – there are number of things we can do to nurture a child’s caring spirit. When a child is full of caring, it is this that will spontaneously move them towards expressions of gratitude. Explain what gifts really mean. nature of the gift and whether they like it. To give someone a gift is about demonstrating through some tangible token, that you care about them. It should be the caring that matters and not the ‘item’ itself. The problem is that in a material, accumulation based, and consumer driven culture, the focus is always on “what did you get?” If we want to cultivate caring kids we need to focus on “who gave you this and why?” This is one of the ways we can orient our children to give from their heart and to recognize when others have as well. We need to do more than ask kids what they want for their birthday, Christmas or any other occasion where gifts are given, and just simply respond to their lists of desires. If we give someone a gift then it would make sense that we should know them well enough to give them something thoughtful. If you have to fish around for ideas behind their back, this also preserves the caring because you spent time to find out about who they are. What we often forget in the act of giving a gift is that the element of surprise matters. When someone gets us what we asked for we are essentially caring about ourselves. When someone surprises us then we are more likely to feel cared for in a deeper way. When we step back and consider what it means to be cared for and what gratitude should be about, it is clear we cannot get there from simply responding to our kids demands for things. We can’t invite our kids to rest in our care if we can’t figure out how to care for them on our special celebrations in life. Homemade gifts really are the best. A homemade gift is something special and serves to make someone feel significant. Why is this so? Because in making something for another person, it means you thought about them, sacrificed time to make something with your own hands, and created something unique for them. When a child makes a gift for someone they are oriented to the relationship they have with this person and the feelings they have for them. Homemade gifts should be closer to the heart than something they bought. This helps to keep the focus away from the material collection of goods and towards the generosity that underlies gift giving, and therefore, the gratefulness for them. The gifts that I treasure the most are the ones that have been made for me, like my children’s drawings or my husband’s thoughtful words on anniversary’s or birthdays. Prime a child to say thank you instead of commanding a performance. You can cue a child to situations where expressing gratitude is important and socially expected without pushing them to give false performances. This is done by reminding them that others will be generous towards them such as giving them a gift, helping them, or, taking care of them. You can remind the child that when we feel cared for by others we can show our caring back with a thank you or hand shake or whatever gesture is appropriate for the situation. It is better to ask them, “Do you have any thank you’s in you right now? This would be a good time to give them to that person,” rather than commanding, “You need to say thank you.” It is also helpful to prime a child towards feeling gratitude by encouraging them to create a card or letter of appreciation to other people when they feel thankful. Sometimes our kids need help in understanding how to express their caring feelings in civilized ways. 5. Live your family values out loud. The statement that it is better to give than receive is an important one to orient kids towards. We can do this by talking about this value at the dinner table, and telling stories about family members who embody this and about their acts of generosity. When kids see that generosity matters to their adults, it should resonate and be clear that the spirit to care for others is alive and well in their family, and something to be treasured and honoured. It is not simply enough for us to talk about the importance of generosity or gratitude – this is a performance on our end. We need to live these values out loud for our children to see, and not in a bragging and boastful way. I still remember the quiet generosity of my father as he donated his time and money to families and to his community. He was never one to boast about these things but it was my mother who told us, and reminded us that our father cared about not only us, but about others too. He and my mother have been steadfast in their example that it is better to give than to receive. By constantly demonstrating their generosity towards others, they orient my family towards knowing that caring about people is what matters most – not the things we accumulate or hold onto as substitutes for love. The word integrity means that our actions and words are congruent with our thoughts and feelings. We need to guide our children towards this goal so that they can become whole. Integrity is what allows them to grow up as authentic beings, and to be the socially and emotionally responsible adults of tomorrow. False performances of caring are cheap substitutes for the real thing and are an insult to the deep relationships that are life giving and fulfilling to all of us. We need to nurture the caring spirit that exists inside our children. We need to orient them to the true nature of gift giving and the joy that it brings to others when done it is with caring.